Espero is a Melbourne based Australian company providing a wide range of logistics and supply chain management , strategic and business planning and design services across Australia and overseas. Providing strategic solutions for the logistics industry. Espero Logistics Solutions is an enthusiastic company that works with clients using a collaborative and tailored approach to achieve superior results. We are based in Melbourne but can provide a wide range of management , planning and design services across Australia and overseas at competitive rates. 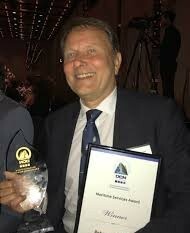 Born and educated in the Netherlands Peter moved from Rotterdam to Melbourne in 1983 after a successful career as a Deck Officer in the Dutch merchant navy and a stint at the Rotterdam Port Authority.